Get the party started with our Little Princess Baby Shower Kit. Each package includes tableware for up to 16 guests, plus three eye-catching decorations! 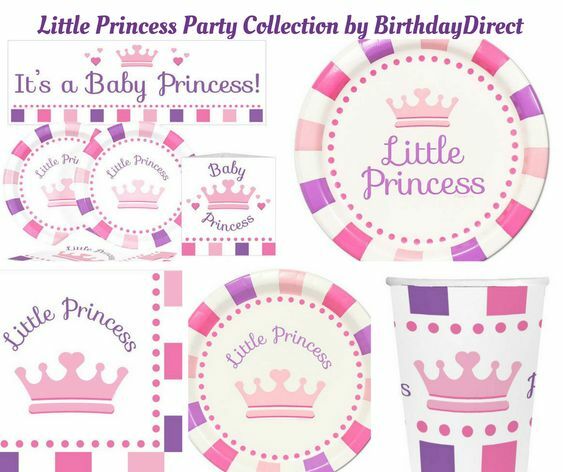 These princess lunch plates are perfect for birthday parties and showers! They feature a little crown and classic stripes. Celebrate like queens with these princess lunch napkins. No table is complete without them! These princess cups are just the right size for serving punch. They’re also great for holding snacks, ice cream, or party favors!